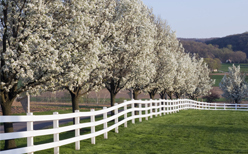 Over 100 years ago, Sam, Tim, and John Hohulin founded the Hohulin Brothers Fence Company. On April 27, 1897, they filled their first fence order—396 feet of 48-inch high fence with one gate—that rang in at a grand total of $26.90. As sons of Gottlieb Hohulin, a German immigrant and weaver of fine jacquard fabrics, these men knew the value of hard work and innovation. These two qualities contributed to Hohulin being credited as the first business to commercially manufacture chain link fence fabric in the United States. 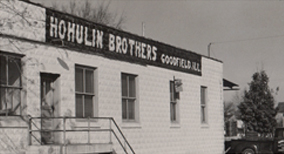 Entrepreneurs at heart, the Hohulin brothers were also inventors. They obtained four patents for fencing products, including a one for a special steel post for chain link fence in 1904. They also developed and built some of the first overhead slide gate systems in the Midwest. Today, Wayne Moses, President of Hohulin and Randy Finley, Vice President, ensure we bring the same quality products and commitment to service that our company had at its inception. As a LEED-certified business, Hohulin Fence utilizes recyclable products whenever possible in all their projects. All steel fencing products are made with 100% recyclable materials. At Hohulin, we are proud to do our part with green initiatives like these. For all your fencing products and related needs, choose the reliable name in fencing. Choose Hohulin Fence. Call us at 309-316-1008 or contact us online today!